Broadway In Chicago is pleased to announce that individual tickets for GHOST THE MUSICAL, based on the film by Bruce Joel Rubin and Paramount Pictures, go on-sale to the public starting this Friday, Nov. 8, 2013 at 10:00 a.m. The supernatural power of love is taking North America by storm as the new Broadway and West End musical GHOST THE MUSICAL, adapted from the Academy Award-winning film, will play Chicago’s Oriental Theatre (24 West Randolph) for a limited two-week engagement from Jan. 7 – 19, 2014. GHOST THE MUSICAL is directed by Tony Award-winner Matthew Warchus (Matilda, God of Carnage, The Norman Conquests, Boeing-Boeing) and choreographed by Ashley Wallen (“The X Factor”, Kylie Minogue, Seal, Madonna's film WE). The musical features book and lyrics by Bruce Joel Rubin (Ghost, Jacob’s Ladder, The Time Traveler’s Wife) who has adapted his Academy Award-winning original screenplay for the stage, and original music and lyrics by a team of Grammy Award-winners, including Dave Stewart (half of the multi-Grammy Award-winning Eurythmics) and Glen Ballard (Michael Jackson's Man In The Mirror, Alanis Morissette’s Jagged Little Pill). The score also includes the iconic song “Unchained Melody,” written by Hy Zaret and Alex North (Courtesy of Frank Music Corp. ASCAP) and famously performed in the film by The Righteous Brothers. Set in modern day New York City, GHOST THE MUSICAL is a timeless fantasy about the power of love. Walking back to their apartment one night after a romantic dinner, Sam and Molly are mugged, leaving Sam dead on a dark street. Sam is trapped as a ghost between this world and the next and unable to leave Molly, who he learns is in grave danger. With the help of a phony storefront psychic, Sam tries to communicate with Molly in the hopes of saving and protecting her. Original Broadway production produced by Colin Ingram, Hello Entertainment/David Garfinkle, Donavan Mannato, MJE Productions, Patricia Lambrecht and Adam Silberman in association with Paramount Pictures. Casting for the U.S. National Tour of GHOST THE MUSICAL provided by Joy Dewing CSA, Joy Dewing Casting. Nominated for an Academy Award for Best Film in 1990, Ghost became a blockbuster hit and an instant classic, winning numerous awards worldwide. The film starred Patrick Swayze, Demi Moore, Tony Goldwyn and Whoopi Goldberg and was directed by Jerry Zucker. Bruce Joel Rubin’s script won an Academy Award for Best Original Screenplay and Whoopi Goldberg won the Academy Award for Best Actress in a Supporting Role for her portrayal of psychic Oda Mae Brown. Tickets for GHOST THE MUSICAL at the Oriental Theatre range from $27-$95. A select number of premium seats are also available for many performances. Tickets are available now for groups of 10 or more by calling Broadway In Chicago Group Sales at (312) 977-1710. Tickets are available at all Broadway In Chicago Box Offices (24 W. Randolph St., 151 W. Randolph St., 18 W. Monroe St. and 175 E. Chestnut), the Broadway In Chicago Ticket Line at (800) 775-2000, all Ticketmaster retail locations and online at www.BroadwayInChicago.com. Check to see if you were one of the Adobe Software accounts that was hacked! It's been reported by by PetaPixel that more than 150 million Adobe Software accounts were hacked.Mine was one of them;hope you fared better. The link for tickets is below.This should be a fabulous show! Paul Lambert,Producer at Reach Out Entertainment, Singer Mary Wilson,formerly with The Supremes and Abdul 'Duke'Fakir of The Four Tops Press conference for "Mary Wilson Holiday Spectacular Featuring Special Guests The Four Tops" which will be opening in Chicago December 23,2013 thru January 5,2014 at the Harris Theater in Chicago,IL.Press conference was at the Public Hotel in Chicago,IL. The show will run until November 10,2013 in Chicago and then return to NYC for a Broadway engagement. I just happened to have my tiny camera in my purse and it didn't do too bad! Pretty hard to take pictures when you are dancing in your seat though! I loved hearing these guys perform,you won't see them on the 'oldies circuit' so catch this show while you can! The Palace Theater is beautiful! November 5, 2013 (New York, NY) – Garis & Hahn is pleased to present Suddenly, there: Discovery of the find, a group exhibition, curated by Eileen Jeng and Tamas Veszi, focused on the creative process and its unexpected outcomes. Suddenly, there... will feature drawings, paintings, photographs, sculptures, videos, and installations, from 1974 to 2013, by 21 New York-based artists. Hungarian psychologist, Mihály Csíkszentmihályi, describes the concept of flow as an optimal experience and single-minded immersion that requires focus and full concentration. He applies this notion to the creative process and states that “in flow we only feel what is relevant to the activity.” The exhibition Suddenly, there... takes this idea further in examining the complexities of the creative process. With multiple access points to an excess of information at any given time, artists who are working in one direction sometimes start working in another; the flow is broken and redirected toward a new and exciting place. A foldout brochure with descriptions of the works and processes will be published for the occasion of this exhibition. On December 18 from 7 - 8 pm, András Böröcz will perform 11 Grapefruits 2, a conceptual work that introduces the fruit into his repertoire of ordinary, round sculptural objects and includes a new video. Eileen Jeng is an independent curator and writer and the archivist at Sperone Westwater in New York. Her latest project includes Break/Step at Radiator Gallery in Long Island City and Facture at AIRPLANE in Brooklyn, among others. She was a research assistant in the Department of Contemporary Art at The Art Institute of Chicago, and she was involved in various exhibitions, including FLOAT at Socrates Sculpture Park in Long Island City in 2007. She earned an MA in arts administration and policy from The School of the Art Institute of Chicago and a BA in art history and advertising from Syracuse University. Tamas Veszi – please see artist’s bio above. Historically, 50% of cars involved in floods are resold on the market, the vast majority to unknown buyers using a scam called title washing. This was a major consumer issue after Katrina and now buyers face the same problem following Hurricane Sandy and recent Colorado and Texas floods. Considering that 250,000 cars were destroyed by Hurricane Sandy, alone, Kars4Kids, the nation’s leading car donation charity for the last decade, has released data from one of the largest car auction houses in the U.S. showing that of that 50 percent figure, 78.37 percent will be sold in states that were not affected by Sandy. Included on the Kars4Kids webpage below, are tips on how consumers can educate themselves to avoid being scammed into buying a flood damaged car, including those that were damaged by Sandy. PURCHASE EARLY FOR BEST PRICES! Note: Above comments taken from audience surveys. Spend Thanksgiving with Writers Theatre! for an unforgettable Thanksgiving weekend! 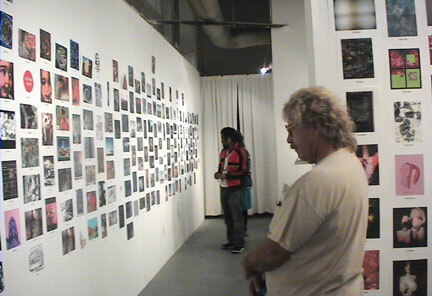 Exhibit your work: "Snap to Grid" at LACDA - every submission shown! Show your work in our un-juried exhibit featuring digital art and photography at the tenth anniversary exhibit of this very popular program. 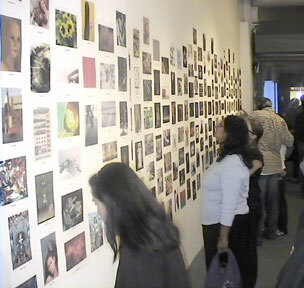 All entries will be printed (8.5"x11" on heavyweight paper) and shown in our gallery arranged in a grid. 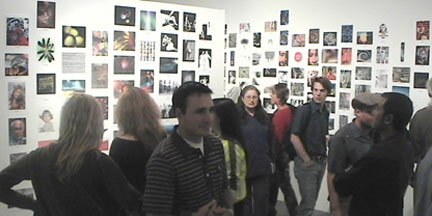 Entrants submit JPEG files of original work. Multiple entries are permitted. Separate registration fee required for each image. Entry Fee:Registration fee is $35US. Submission Rules:Registration and submission are done online only. JPEG file uploads are the only accepted submissions under 5MB each. Please do not send materials to LACDA. All materials sent to LACDA will not be viewed and cannot be returned. The usual (less than democratic) selection process where only the precious few are chosen is turned on its head in a curatorial anarchy where everyone gets to participate and the viewer is literally left to be the judge. The show represents a snapshot of a current moment in art history when digital imaging has reached the hands of the many, an age where culture belongs to the smart phones, tablets, texts and social nets around the globe. From Thailand to Texas, amateur to academic, beautiful to banal and beyond the monumental quantity and variety of "Snap to Grid" becomes an aesthetic experience where each individual piece adds to an agglomerative effect that has a life of its own. Explore the South of France With GreatValueVacations From $2,106 Per Person! currently has a spectacular deal to the South of France for travel in January, February, and March priced from only $2,106 per person! And with a warm Mediterranean climate in Cannes, Nice, and Monaco, travelers can enjoy balmy days with temperatures averaging in the mid 50s — versus cold and snow in many parts of the U.S. Many who dream of a vacation in France fantasize about visiting the museums and cafes of Paris, driving through the vineyards of Bordeaux and Burgundy, or sampling the cuisine of Provence. But along the stunning Mediterranean is the glorious South of France. On this 7-night journey through the cities of the Côte d’Azur, travelers will experience the glories of this region that has played host to celebrities, politicians, and aristocrats. The first two nights will be spent in Cannes at the 4-star Hotel Gray D’Albion. This amazing property boasts its own private beach and is ideally located near the finest shopping in all of Cannes. Stroll the beaches or charming avenues by day and satisfy an appetite for French seaside cuisine in one of the two on-site restaurants, 38 The Place or the Private Beach Restaurant where Mediterranean and Lebanese cuisine are offered using the best of local produce and seafood. On day three it is time to take a relaxing drive onward to Nice, the largest city in the area and un-official capital of the French Riviera. For three nights travelers will enjoy a stay at the 4-star Hotel Beau Rivage, a contemporary property offering the best of French hospitality mixed with the right amount of luxury to provide a superior experience for all guests. With the largest private beach on the French Riviera, days will be spent taking in the spectacular sea views or strolling the Promenade des Anglais. By night, venture out into Nice to sample the fresh seafood dishes that the city is known for. Day six will have travelers heading to one of the most beautiful regions in the world, the Principality of Monaco. For two nights, stay at the 4-star Fairmont Monte Carlo, a luxurious property in a country with a deep connection to America. While here travelers will come to know the people and culture that embraced Grace Kelly as their princess and that was the setting for memorable movies such as To Catch A Thief, The Red Shoes, and Iron Man 2. Meals (unless otherwise specified) and gratuities are NOT included. This package is priced from $2,106 from New York; $2,188 from Atlanta, $2,147 from Boston, $2,190 from Chicago, and $2,218 from Los Angeles. Rates are per person based on two people traveling together on select departure dates in January, 2014. Flights from other gateway cities are available at higher rates. This rate includes airline and government-imposed taxes and fees, is valid for new bookings only, subject to availability, and may be affected by fluctuations in exchange rates. Restrictions and additional bag fees may apply. See website for full terms and conditions. This package is available from January 1 through March 31, 2014 with rates varying depending upon dates of travel. New photo book releases from Daylight Books! "Free Birds" is Serious About Saving Turkeys!